POCP Life Sciences help clients navigate the complexities of EHRs to improve access to treatments and to thrive in the new world of value-based care. Throughout the patient journey, we deliver solutions that help life sciences companies compete in a rapidly-evolving health IT ecosystem. The value that POCP brings to its clients lies in our deep base of HIT expertise across the care continuum and proven success with product launches, marketing and strategy. As subject matter experts who focus on HIT, we offer unparallelled experience and the unique ability to operate as a fully independent resource for the clients we serve. Our team of BioPharma experts has decades of experience working with healthcare stakeholders of all types, giving us the perspective, HIT knowledge, and foundational relationships to increase your product adoption and drive growth. Why focus on EHRs and Health Information Technology? EHRs now control the clinical workflow and every aspect of the treatment selection, initial purchase, and refill process. To successfully executive product growth strategies and field based initiatives, brand marketers and sales leaders need to enhance their EHR and health IT knowledge across their commercial organizations. 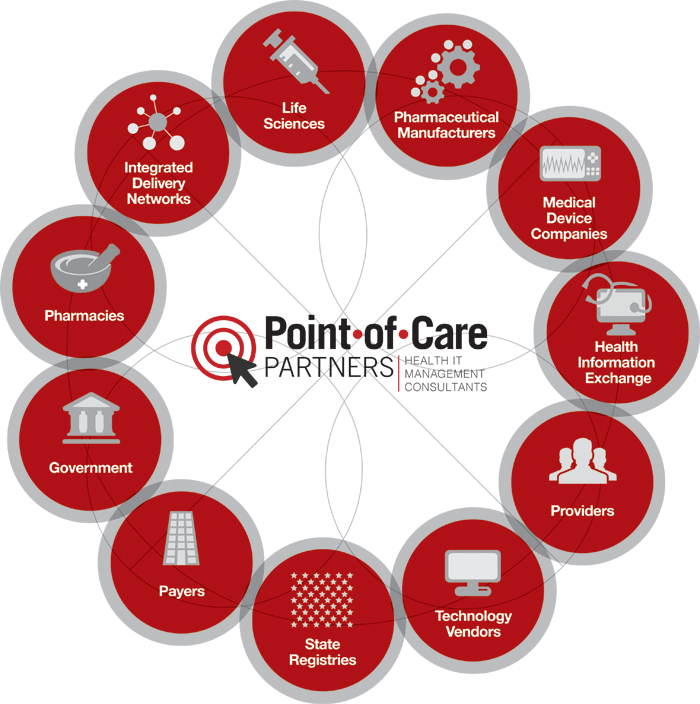 Point-of-Care Partners provides value to many types of health IT stakeholders beyond Life Science and Biopharmaceutical companies. Our 360-degree view of the industry uniquely enables you to understand the challenges HCPs face daily.